While your dog may not understand what a birthday is, or why you want to celebrate it, he will appreciate all the love, affection, toys and treats that she gets on his special day. 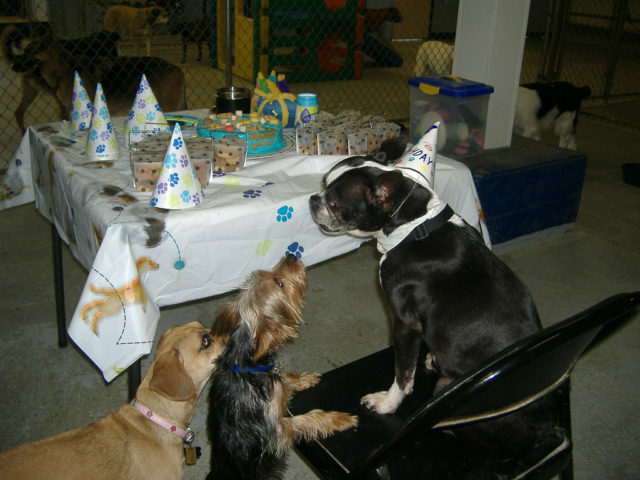 Hosting a birthday party for your dog is not only a great way to have some fun, but it’s also a great way to help socialize your dog. And it’s a reason to get together with friends and family who are also dog lovers. Invite your human friends too, and don’t forget those friends that your dog especially loves! Have lots of balls, frisbees and other dog toys on hand. That way, the human guests can play with all of your dog’s guests and have fun too! Pick a place where there is plenty of room for your dog and her friends and your guests to run around and play, especially if you have a large group. Make sure you have plenty of cleaning supplies on hand in the event there is a doggie accident indoors. Also, make sure (as much as possible) that there is an area for dogs to go outside when they need to. Get a dog birthday cake at your local pet bakery, or find a recipe online, and make your own! There are some things that dogs can’t have and the recipe’s will let you know what they can have and what they will love in a birthday cake. Send your dog’s guests home with goodie bags filled with treats and toys. Not only will the other dogs appreciate the gesture, but so will their human counterparts! Consider having a costume party and asking everyone, pets included to dress up. Again, this is something that can be a lot of fun for both the dogs and humans. Have a puppy pageant or dog show. Pick some human judges and give the dogs a chance to strut their stuff. Even if your dog or his guests are not show dogs, most dogs have cute little tricks or habits that are fun to show others. It doesn’t have to be a formal dog show or pageant. Pick a theme, any theme. 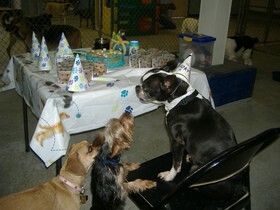 Just as with weddings it has become popular to pick a theme when giving your dog his birthday party. Consider a theme around the song “How Much is that Doggie in the window,” or a western or fantasy theme to name a few. So, whether you want to do something fancy for your dog’s birthday party, or something down home, there are many different things you can do. These ideas are just meant to get you started. 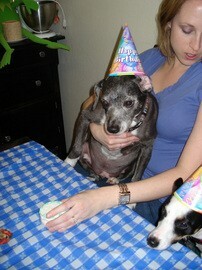 I hope you find them useful and that your dog birthday party is a success!